This weekend, I picked up two awesome (and, I know I use that word a lot, but I really mean it this time) books that have made me super, super happy. Ecstatic even. 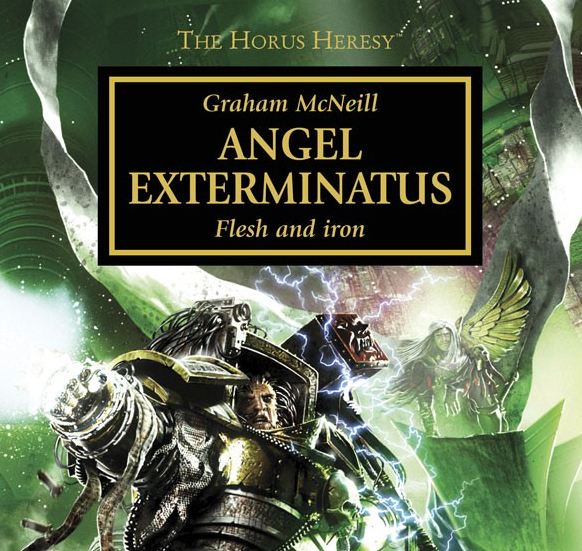 The Traitor Legions book is fantastic and it’s given me a new lease of love for the Emperor’s Children and I’m very tempted to go overboard on my old favourite army again, but this isn’t the book I want to talk to you about. Everyone and their battle-brother has been pouring over this and discussing at length and anything I say here and now will be simple repetition. The book I want to talk to you about is Index Chaotica: Apocrypha, or, as I like to call it, All The Reasons I Became A Happy Heretic In One Book (Ok, their title is better). So, what is this book? This is a huge slice of nostalgia, a history lesson, an art show, a miniatures showcase, a design guide and a fluff factory rolled into one. 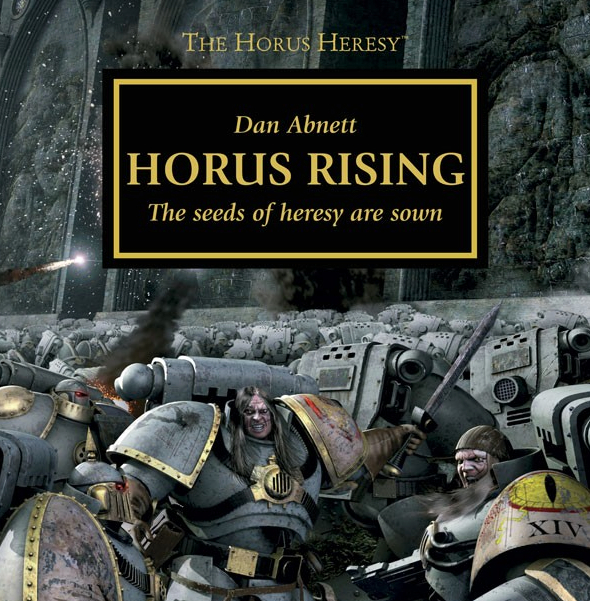 It will take you back in time to when Horus was just an ‘Imperial Commander’, to when the Iron Warriors were dedicated to Slaanesh (yup), to when there were more daemon engines than you could shake a power maul at, and to when artists had more freedom to really just let Chaos spew forth onto the page. 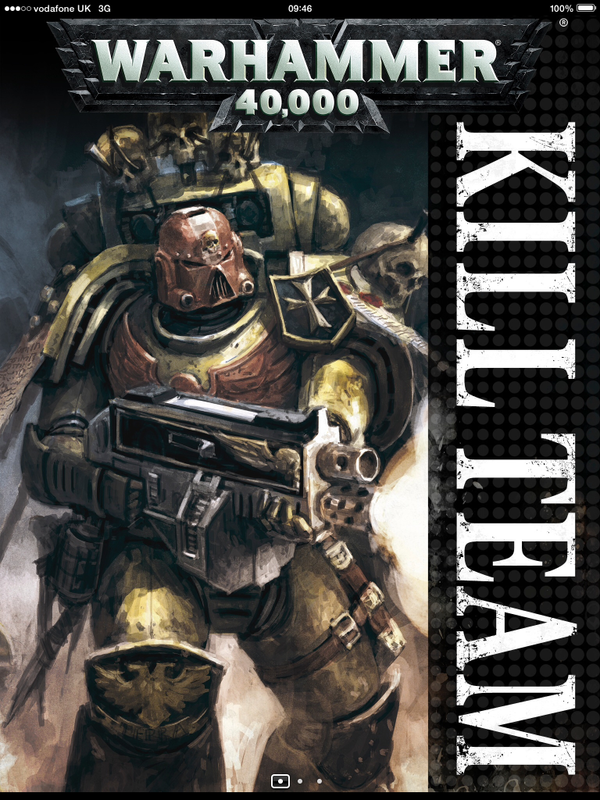 This book is a collection of Chaos-themed articles, images, illustrations, rules and stories from when 40k first began and its early years. 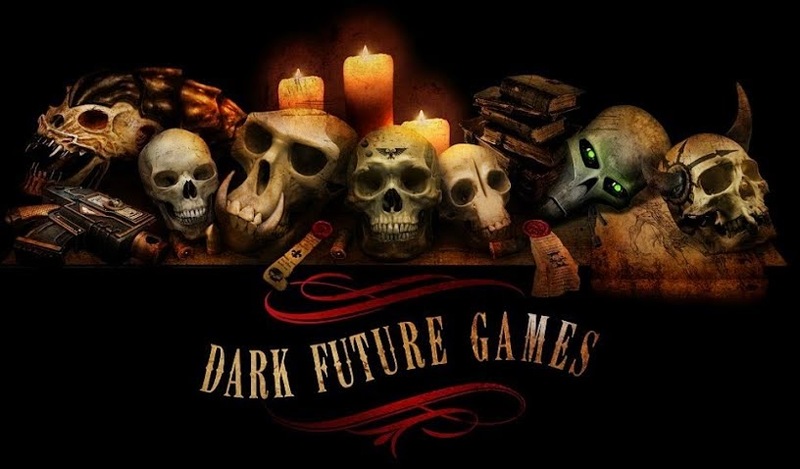 With pages taken straight from Slaves To Darkness and The Lost And The Damned, we get to see the very origins of Chaos in the 41st millennium, and as the book moves on, we get to see how the stories, interpretations and illustrations of both the characters and the lore moved on. What’s more, they’ve pulled in some of the old fluff as well, and in the image above, is a real favourite of mine – the tale of Inquisitor Thrax. It’s a very short tale, but I remember reading it as a kid and getting goosebumps. And now I have it in this amazing book too! It’s fantastic to see how much the GW team have dug around in the archives for some of this content and the book has been put together exceptionally well. 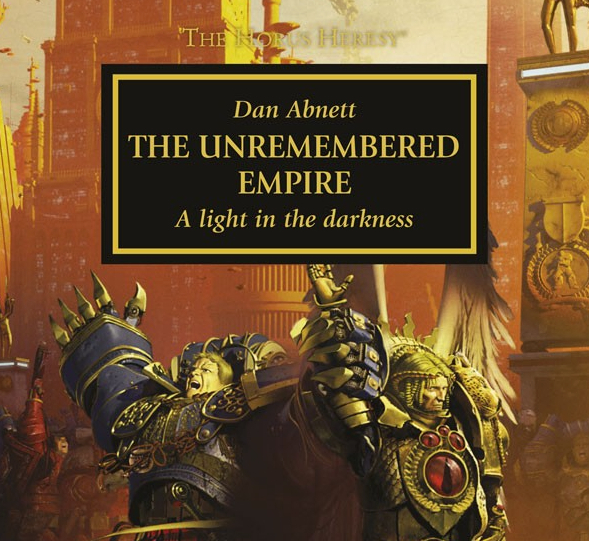 It flows faultlessly through the ages, the armies and the illustrative history of Chaos in the early years of Warhammer 40,000. And I love that they found the images above. Remember earlier when I mentioned the Iron Warriors being sworn to Slaanesh? Well, as you can see above, so were the Alpha Legion (and the EC of course). And opposite them on these beautiful colour plates, we have the legions dedicated to Khorne. I’ll leave you to work those out and go ‘huh’ or ‘eh! ?’ for yourself. Another real treat here is the inclusion of many of Jes Goodwin’s original designs for the Chaos Space Marines. Shown above are the Emperor’s Children, and the early sonic weaponry, but there’s a huge amount more in these pages too. I recently picked up Jes’ Eldar book as well, and just as with that, there are some brilliant little notes across all of these that show you the logic and uniqueness of each design. In the above example, there’s a note talking about how, due to their raiding tendencies, the Emperor’s Children have access to even modern Space Marine armour marks, and another talks about how they customise their armour too. You can get lost in these little tidbits – well, I can anyway. And then there are the model shots. That’s not really what this book is about, and there aren’t too many in here, but when they do appear, your nostalgia bone breaks in half with excitement. I haven’t seen the above pages since they first appeared in White Dwarf and it’s a joy to see the Subjugators stride forth again. 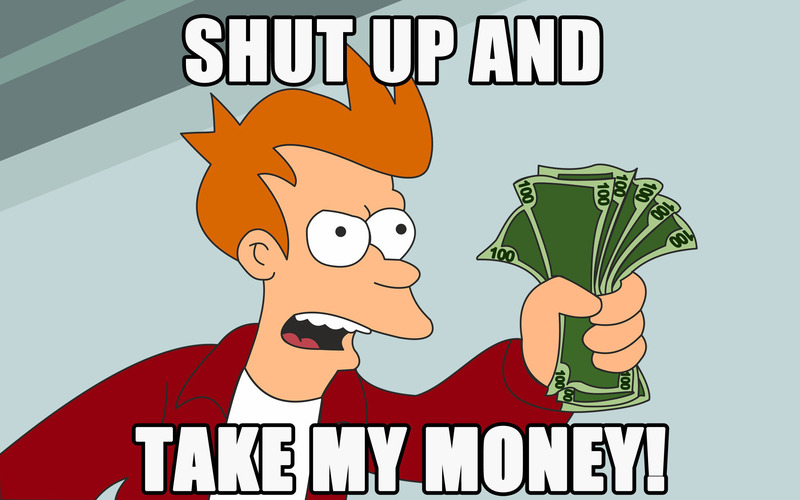 If only Forge World could make some of these… (hint, hint if any of you at FW are reading this). And yes, all of the Khorne Daemon engines are in there too, along with the Banelord, for anyone who remembers that amazing mini. They’ve just ticked all of the boxes with this book, and even though I’ve been flicking through it endlessly since Saturday, I’m still finding things in there that make me smile. A wicked, terrible, teeth-baring smile. And just to top it all off, there are rules too. Lots of them. You can see all the old profiles and stat lines, alongside some of those favourite illustrations and fluff-pieces. It’s just great. There really isn’t anything bad to say about this book, except that I wish it was twice as long. 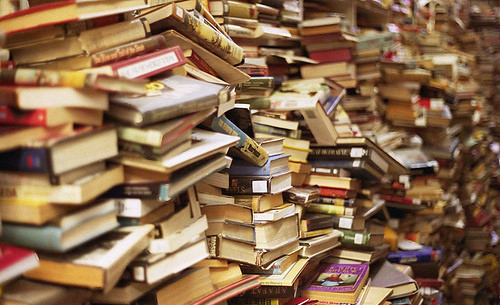 Not that 140 odd pages isn’t enough – it’s a good sized tome – but I’m just greedy like that and perpetually want more. Who is this book for? Anyone with a love for the Dark Gods. They all get a lot of coverage here and there’s plenty to dive into. If you’re interested in the history, or even if you want to relive it, this book is a must. It’s so much fun to read through this. That’s the word. Fun. From the incredible illustrations that have been done by people like John Blanche and Adrain Smith, to the stories, secrets and special characters who all have their origin stories included in one way or another, this is just a wonderful read. I’ll leave you with one of my favourite illustrations below (though it should also be mentioned, if you have a favourite old Chaos illustration, it’s almost certainly in here – there are so many!! ), and just a final note to say that this is a great book. I can’t find anything to moan about. I can’t see a downside. 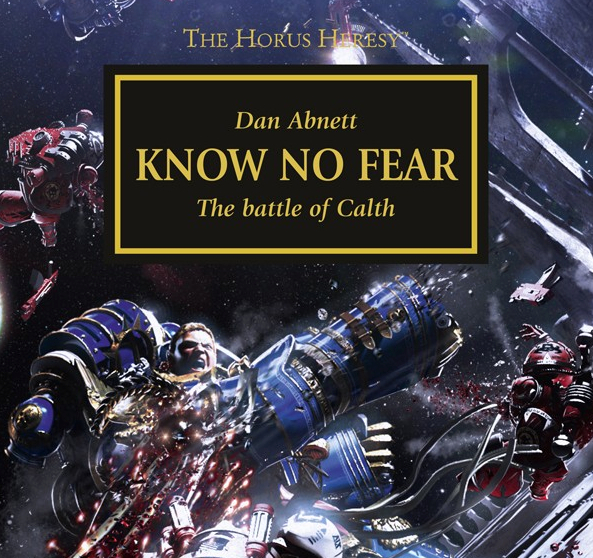 Maybe Slaanesh has got to me, but this book gives me nothing but pleasure to read, and if you’re a fan of Chaos in Warhammer 40,000, you’re going to love it too. Onwards! 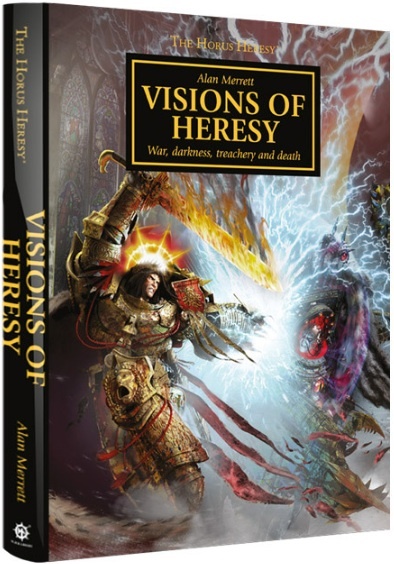 Product Review: Visions of Heresy – A Monster of a Book! Prepare yourselves for I am about to have a proper gush about a new book from Games Workshop and Black Library because, well, it’s awesome. 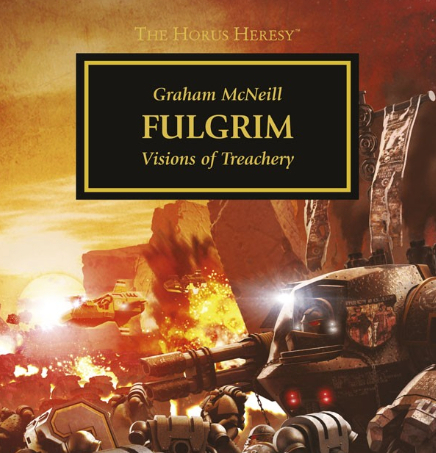 Visions of Heresy is an astounding tome and a real luxury purchase for any fans of the most monumental saga in 40k history. On Wednesday, I popped into my local Games Workshop (Oxford Street Plaza for them who’s asking) for a small bottle of superglue and, as so often happens, I ended up spending over £60, the bulk of which was taken up by this big shiny book. It ain’t cheap. 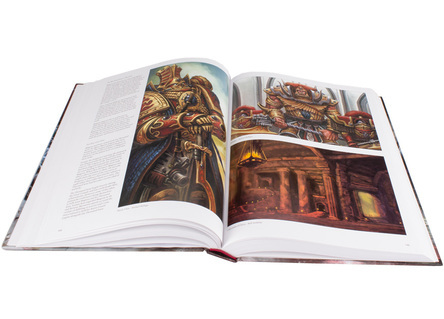 At £45.00, that’s a Codex and a half, but what you get is the most comprehensive and lovingly compiled collection of Horus Heresy inspired artworks that you’ll ever see. I’m actually quite chuffed that I allowed my love of shiny things to obscure my senses and convince me to shell out for this work. The typical buyer’s remorse that oft accompanies these sort of purchases burned away like so much prometheum through the nozzle of a heavy flamer as soon as I turned the book over, still in its protective, clear wrapping and saw the back cover. Worth taking a peak if you’ve not done so already. Alan Merrett has filled over 400 pages with astounding artwork, all grouped by legion, history or event. To see the iconic and beautiful work of John Blanche, Adrian Smith and Neil Roberts in all this glossy glory would be worth the price alone, but there are images from such a wide range of artists that it’s simply incredible to behold. Each set of images is accompanied by historical notes and diagnosis from Merrett and the whole thing ties up to be an overwhelming collection of fantastic fluff and imaginative artwork. In fact, if I had a single criticism to make, it might be that this collection is simply too big to take in in its entirety. I’ve had a couple of days to pour over it (and I have poured) and I still finding new gems within the pages. Particular highlights for me include the collections of work on the Custodes (hurry Forge World – make them now!!) and, though I’m a fan of neither legion or chapter in terms of the minis I collect, the collections regarding Prospero, the Wolves and the Sons are all real treats. From basic sketches to more stylised images, everything here is a grimdark joy for a fluff-head like what I am. I should also say that there is certainly scope for more artwork. As Blanche and Roberts particularly create more and more fantastic images and sketches, and as the Black Library books flesh out more and more of the stories, we’re sure to have a sequel tome appearing in the future. For one thing, I was slightly annoyed at the lack of Nightlords images and would love to see some new, dark depictions of Curze in all his sadistic glory. This book is by no means a necessity, but if you are a fan of fluff and the artwork that is produced around it, and if you have a spare chunk of cash in your budget, I heartily recommend picking up this beautiful luxury. Daler Rowney System Three brushes are great for painting big pieces when you don’t have access to an airbrush. When I was working on my Grey Knights force, the Razorbacks, Storm Raven and Contemptor Dreadnought all got some attention from these paint brushes because, when using the metallic Citadel Paints at least, they didn’t leave brushstrokes. Applied relatively sparingly, and with fast, even movements of the slightly rounded head (saucy! ), they put down a clean, unmarked layer of paint and that is so useful to have in your arsenal. The brushes are really thick and stiff, but they don’t last too long – two of them got me through a small army but they’ve faired less well since. Really good for laying down large amounts of wash too. Da Vinci Watercolour Brushes really don’t last that long when working with Acrylics and if you don’t use brush protector to keep them in shape, they last even less time. That being said, for painting detail, they’re fantastic. The really fine brushes (such as the ‘0000’)are delicate so they’re great for intricate freehand (not that my freehand is that intricate!) and they too worked all the way through My Grey Knights force, writing script on purity seals and books, dotting eyes and all the other fine little jobs. If it were possible to fall in love with a brush, the Windsor and Newton Series 7 Kolinsky Sable 000 brush would be the one for me. I’d totally put a ring on that. They ain’t cheap, but for detailing, that brush is head and shoulders above the rest. I’ve been using it since I started work on the Mortifactors and it has been a joy to use. It’s maintained its shape, shed barely any bristles and moved perfectly across the minis. Hands down favourite paint brush. I’m going to pick out a couple of the larger ones to work with on bigger projects too, so I’ll let you know how I get on with those too.